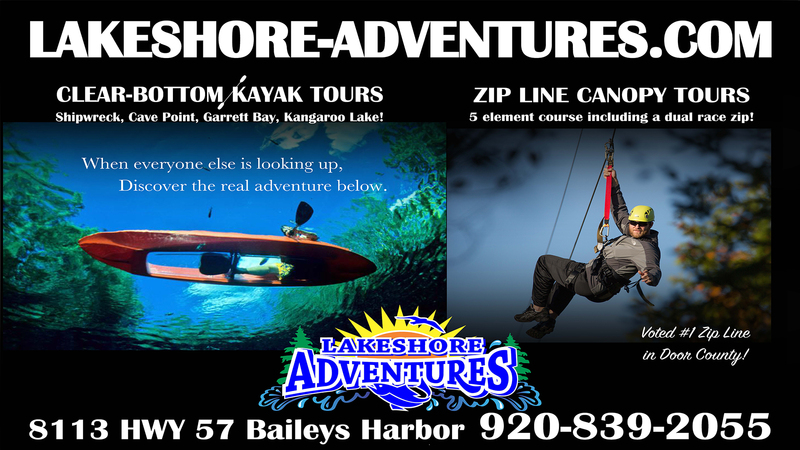 Door Countys premier outdoor activity and family fun center. Explore over a dozen 1800s shipwrecks with our clear bottom kayaks, snorkeling adventures, and boat and kayak tours. Rent kayaks, paddleboards, sail boats, and bikes. Over 30 years of charter fishing experience aboard First Choice Charters. Also a gift shop full of unique home decor, water sport and outdoor apparel. Your one stop shop for family fun and excitement, YOUR ADVENTURE AWAITS! Open daily June-Sept 9am- 6pm Sun-Thurs, 9am-8pm Fri and Sat.